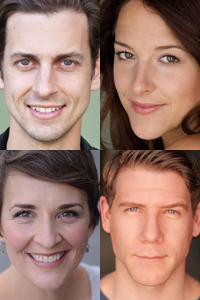 The Utah Shakespeare Festival recently announced more casting for the 2017 season, including the actors who will play Romeo, Juliet, and Shakespeare in the complementary productions of Romeo and Juliet and Shakespeare in Love. Some of these actors are familiar to Festival audiences, some are new, and all will bring a wealth of talent and experience to the Festival stages. 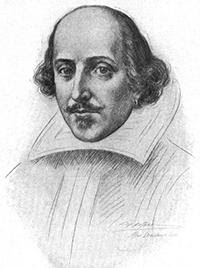 William Shakespeare is a name that conjures up a lot of thoughts. From Iago to Katherine, his plays have inspired us for hundreds of years. However, this influential artist is difficult to pinpoint historically. Marriage licenses and other legal documents are useful, but they aren’t good records for describing the man or the personality. For example, he was an actor in the years of 1592, 1598, 1603, and 1608, but we don’t know what he acted in. 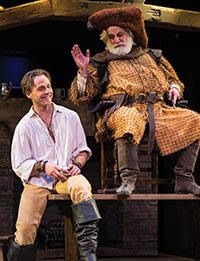 He defaulted on his taxes two years in a row, but it’s anyone’s guess as to what that tells us about the Bard. 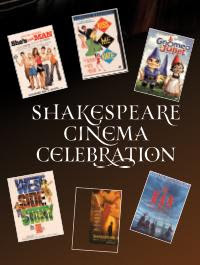 Join with Shakespeare and movie fans onSaturday, April 22 for the Shakespeare Cinema Celebration. Sponsored by the Festival, Southern Utah University, and the Center for Shakespeare Studies, the day will feature six movies of Shakespeare plays, as well as a brief orientation and complimentary food throughout the day. Films being featured are Gnomeo & Juliet, She's the Man, West Side Story, Kiss Me Kate, Ran, andShakespeare in Love. Whenever we gather in a theatre for a Shakespeare play and settle into our seats, we’re excited to get started and watch the show. But if you haven’t seen the play before, you may flip open the program and read the synopsis to get familiar with the story. The likelihood though, is that you’ve already seen parts of these Shakespeare plays. The plots, tropes, and characters that Shakespeare used back in London are still in use today, and here are just ten of them . . .
Add even more to your Utah Shakespeare Festival experience with A Midsummer Adventure, part of Southern Utah University’s Golden Thunderbirds program. This program focuses on active academics, arts, and the outdoors. During day excursions for Summer 2017 you will discover the hidden treasures of the world renowned landscapes of southern Utah. 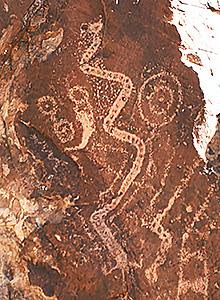 Your adventure includes an exciting, educational, and enjoyable day of art, hiking, local history, and geology.